Audi SQ7 Interior, Sat Nav, Dashboard | What Car? SQ7s come with an electrically adjustable driver’s seat and manually adjustable steering wheel (an electrically adjustable steering wheel is fitted to the Vorsprung edition). The range of adjustment – which includes an extendable seatbase and four-way lumbar adjustment – makes it easy to find your ideal driving position, while the exaggerated side bolsters of the sports seats hold you firmly in place during enthusiastic cornering. They're comfortable on long journeys, too. The dashboard is logically set out, making it dead easy to use, and you even get a giant 12.3in digital screen in place of analogue dials that displays useful information, such as full-screen sat-nav maps, just beneath your sight line. With all that performance, it’s easy to forget that the SQ7 is a big SUV, and the associated high driving position is a commanding one that offers a grand view of the road ahead. With the third row of seats in use, your over-the-shoulder view is limited, but no matter – standard front and rear parking sensors, as well as a rear-view camera, help out in tight spots. 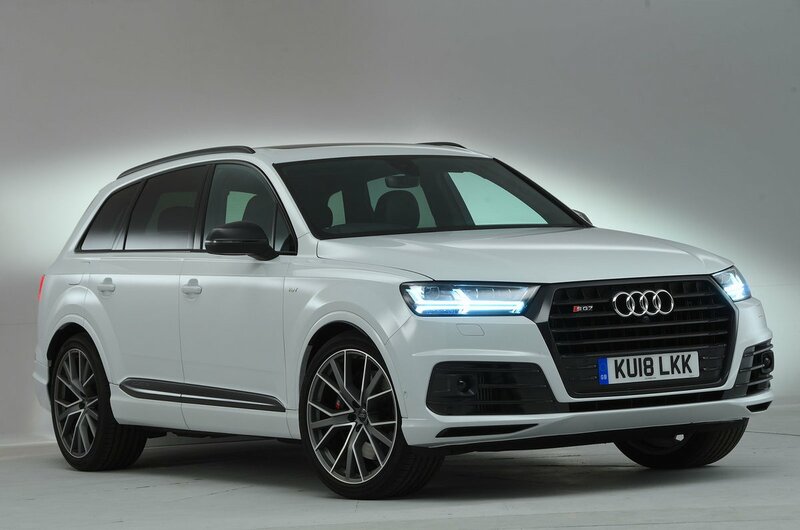 The Vorsprung variant even has a 360deg bird's eye view camera and a self-parking system. For ease of use, Audi’s MMI infotainment system is second only to BMW’s iDrive and is way better than what Range Rover offers. A high-definition 8.3in screen rises slickly from the top of the dashboard and you control the system using buttons and a simple rotary controller positioned between the front seats. A touchpad next to the controller even lets you handwrite instructions, such as a postcode for the sat-nav or a name from your phone’s contact book. Speaking of which, certain apps on your smartphone can be operated through the screen using the Apple CarPlay or Android Auto interface. 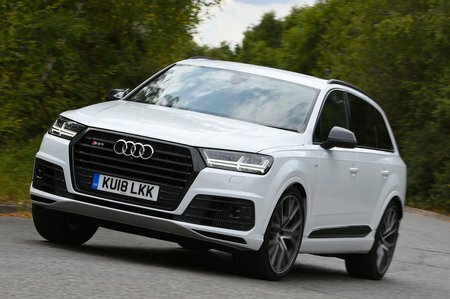 As you might expect, the SQ7 comes with sat-nav and Bluetooth, but you also get high-speed 4G internet access and services including Google Earth, Google Street View and Twitter, as well as live weather, news and travel reports. On the options list, you'll find a full rear-seat entertainment package with rear touchscreens, a digital TV receiver and various sound system upgrades. The Bang & Olufsen system is brilliant but extremely pricey, but the Bose stereo (standard on Vorsprung) delivers suitably punchy sound quality. The SQ7’s interior is a smorgasbord of soft-touch materials and precision-action switches, cultivated further by leather seats, Alcantara door inserts and brushed aluminium trims. The Vorsprung model has a full leather interior package that wraps the dashboard and the insides of the doors in genuine hide.